Get Ready! 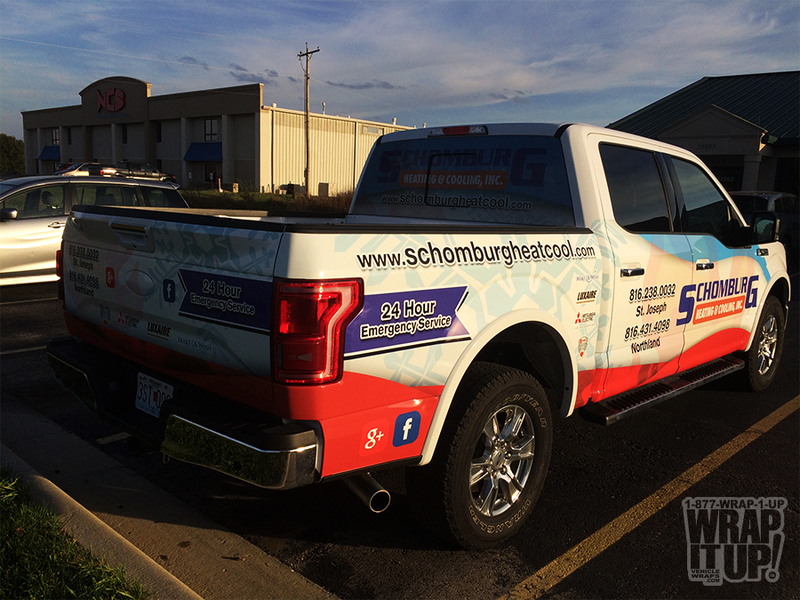 Schomburg Heating and Cooling has had us wrap several vans for them, but now we got our hands on a truck and it turned out amazing.This design has proved to be highly adaptable. Our design staff will make sure that your design will look good no matter what you place it on. Winter is quickly approaching, and it is important that you and your loved ones are prepared for harsh temperatures accompany winter. Make sure you give our friends at Schomburg a call so they can make sure you are ready for whats in store. Thanks Schomburg!